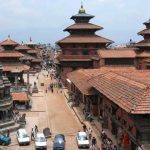 Nepal has always been recognized as a beautiful country with ginormous credits to the Himalayas. Comprising of more than 1310 peaks above 6000 meters, the Himalayan region entails numerous exotic mountains. These outstanding peaks have always been the major attraction for adventure seekers. 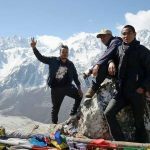 More than one-quarter of the Nepalese peaks have opened for mountaineering activities and peak climbing is one of the most popular choices. 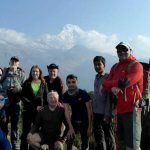 Peak climbing in Nepal offers trekkers the best adventurous experience. The peak climbing journey will give you a satisfaction nothing else can provide. When you summit a mountain, it is not just about reaching the top and clicking a few pictures. You get emotions of immense pride and overwhelming admiration standing atop a magnificent land form as you witness the splendor around you. 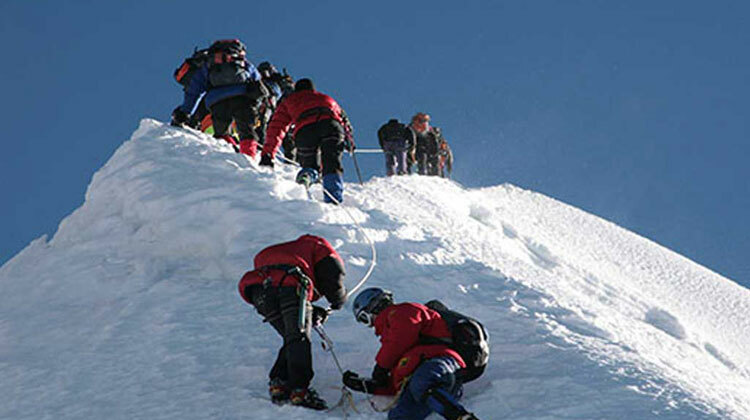 Peak climbing is an activity where you summit peaks that are at the elevation limits of 6500 meters from sea level. These climbs do not require special equipment and intensive training. 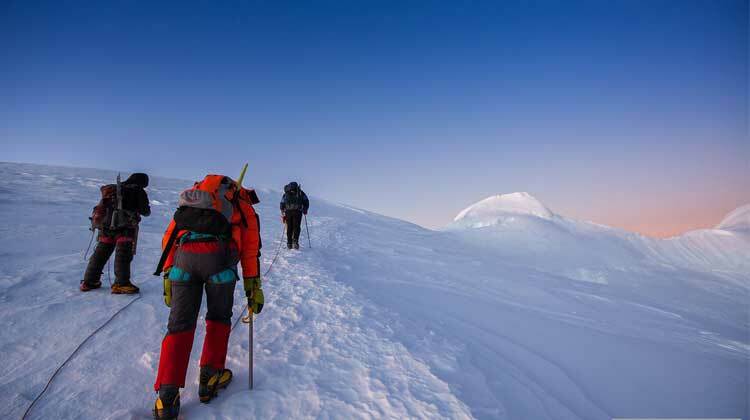 The duration of the journey can last for a week or more as per the location and technicality of the climb. You can find plenty of peaks in Nepal from which you can choose: all depending on the difficulty level. 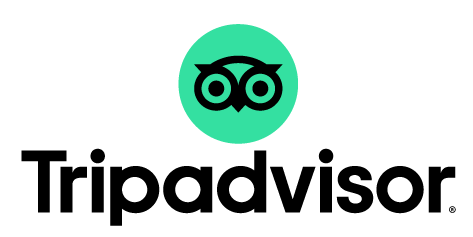 With the necessary permits, you can go for any peak you want. Here are four of the best peaks to climb in Nepal. 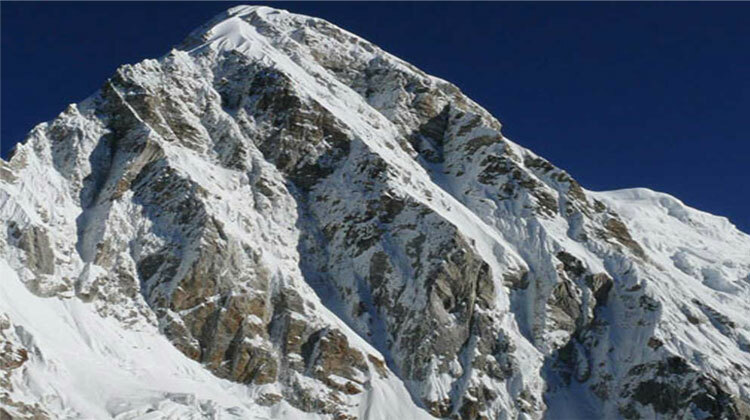 Island peak (6,189 m), also known as Imja Tse, is one of the major climbing peaks in the Everest Region. Located at the top of the Chhukung Glacier, the difficulty level of climbing this peak is moderate. This climb requires at least 18 days to complete. Your route follows the same trails as that of the Everest Base Camp up until Lobuche. From there you trek to Chhukung and further to Island Peak Base Camp. The Summit is estimated to take about 10-12 hours including the return time. Once upon the summit, you experience an exhilarating view of the Himalayas in the Everest region. 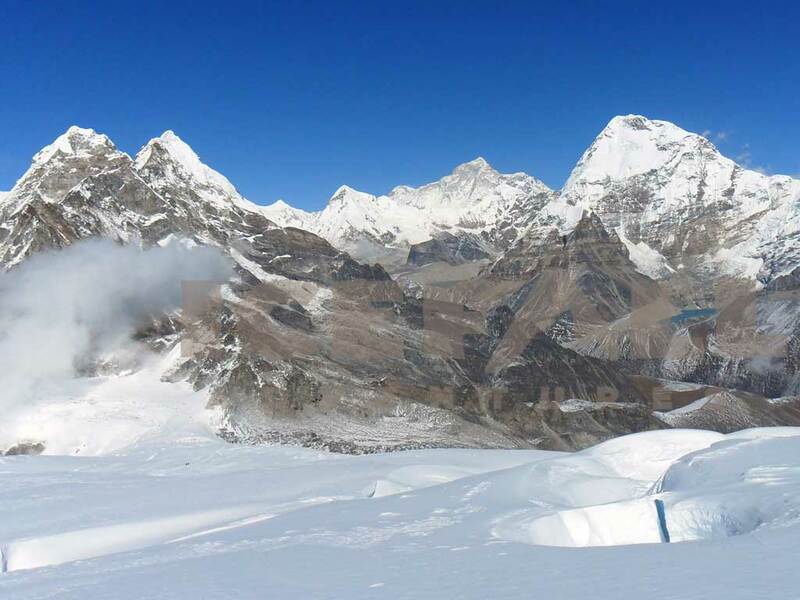 You see Nuptse (7,861m), Lhotse (8,414m), and Lhotse Shar (8,393m) towards the north. Towards the east, you see Makalu (8,463m) and towards the south, you see Baruntse (7,129m) and Ama Dablam (6,856m). Like any other adventurous activity, peak climbing requires you to have ample stamina and strength. 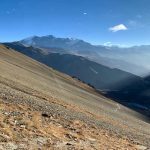 Moreover, the journey also requires you to be adequately motivated since the climb follows trails which are physically and emotionally challenging. Although it might not be the hardest climb, you still are required to shape up so that you do not face unwanted difficulties. Cost Range $ 2,200- 2,700 per person. Mera Peak (6,461m) is the highest trekking peak in Nepal. 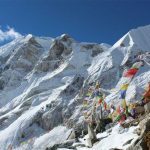 Situated at the border of the Khumbu region, this mountain is becoming more popular amongst climbers. The difficulty level of this climb is moderately high and requires climbers to be physically fit to endure the hardships of this journey. This climb requires at least 20 days for completion. Your journey starts at Lukla. 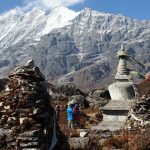 From here you trek through various checkpoints: Chutanga, Khartitang, NauLekha, Kothe, Thangnak, Khare and Mera Base Camp. 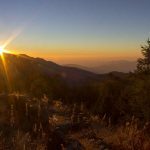 While trekking through these locations, you come across the remote wilderness of the valleys and villages where you encounter the Sherpa culture and lifestyle. The view from the peak is considered to be one of the finest views. You will see Mt. Everest(8,848m), Cho-Oyu (8,188m), Lhotse (8,414m), Makalu (8,463) and Kanchenjunga(8,586m): the five major eight-thousandths. Along with these beauties, you will also see Nuptse (7,861m), Chamlang (7,319m) and other peaks. Lobuche peak consists of two different summits: the east (6,119m) and the west (6,145m). These peaks are located near to the Khumbu Glacier. You can say that this climb is comparatively a little more difficult than the Island Peak climb. This climb can take at least 18 days to complete. The route to Lobuche is almost the same route as that of Everest Base Camp. 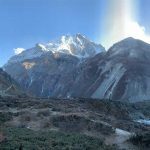 You can spend a night at Lobuche for acclimatization and summit the peak the day after. Upon reaching the peak, you witness a magnificent panoramic view of Mt. Everest (8,848m), Lhotse (8,141m), Nuptse (7,861m), Ama Dablam (6,856m), Cholatse (6,440m), Pumori (7,161m) and many more. Situated in Langtang region, Yala Peak (5,500m) is one of the easier peaks to the summit in Nepal. An average level of fitness is enough to complete this climb. On an average, you can complete this climb in about 13 days. 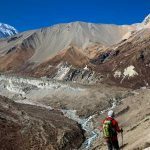 Your journey starts at Syabrubesi from where you trek to Langtang, Kyanjin Gompa, Tserko Ri (4984m), Yala Base Camp and finally summit the peak. Atop this peak, you get a mesmerizing view of Tibetan mountain massifs. Notable peaks you will witness are Dorje Lakpa (6,966m), Naya Kanga (5,122m), Tserko Ri (4,984m), Shisapangma (8,013m) and Langtang Lirung (7,227m). Among the vast choices for peak climbing, these four are some of the most iconic peak climbing destinations. The most suitable times for peak climbing are during spring and autumn. The months of March to early June and September to November are considered the best times of the year to summit the peak.